Enjoy a quiet breakfast or a cup of tea in true modern style with the Reykjavik Counter Chair. 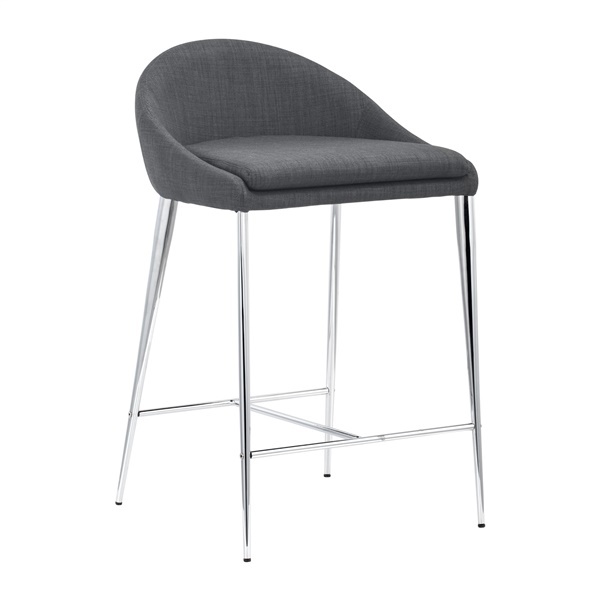 With its sleek arched back, low-profile design, and slender and graceful tapered legs, the Reykjavik is the epitome of modern elegance, and makes an eye-catching accent for any bar space. The Reykjavik�s frame is crafted from chromed steel for a sturdy, durable stance and a gleaming shine. The chair�s look is softened by soft and elegant fabric upholstery.